↑ "What will you see if you visit the precise point where India ends and Sri Lanka begins?". ↑ अ आ इ "Adam's bridge". ब्रिटैनिका विश्वकोष. 2007. मूल से 12 October 2007 को पुरालेखित. अभिगमन तिथि 14 सितंबर 2007. 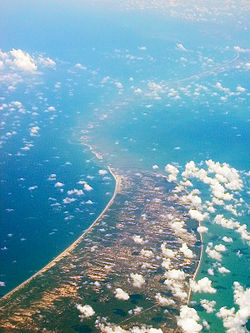 ↑ "Adam's Bridge – The Mythical Bridge Over the Ocean". srilanka.travel. ↑ "Rama's bridge is only 3,500 years old: CRS (Centre for Remote Sensing)". इण्डियन एक्स्प्रेस. ३ फरवरी २००३. अभिगमन तिथि १४ दिसम्बर २०१७.